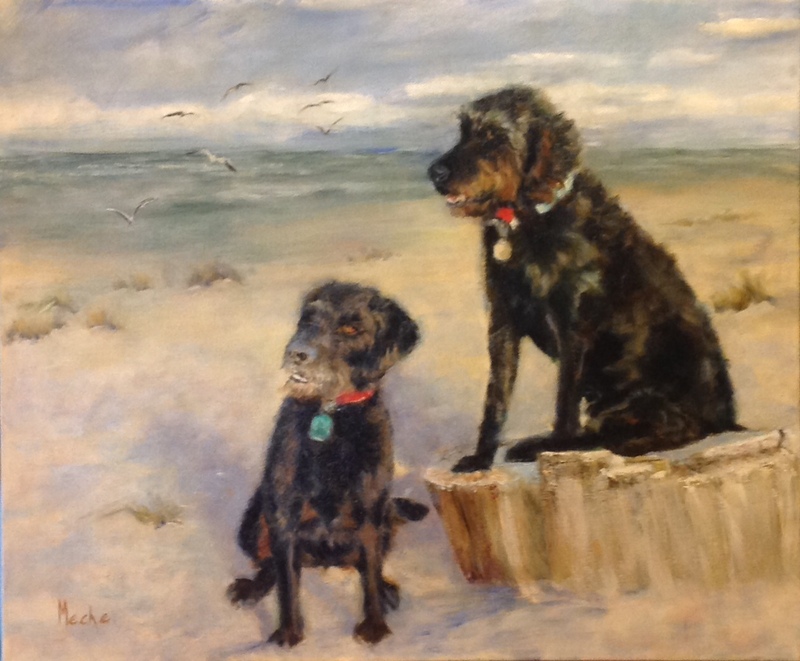 Dogs Portrait Oil Painting on Canvass, "Zoe & Zeus" 20x24, by Mercedes Franklin, Private Collection. I only had photos to go by for this painting. It would be nice to meet this pair after I spent much time looking at them, wondering what they were doing, knowing they would be busy & a lot of fun!